Lots of beautiful salads and sandwiches to eat at the Exeter St Stephens Altar Society Salad Luncheon and Card Party. 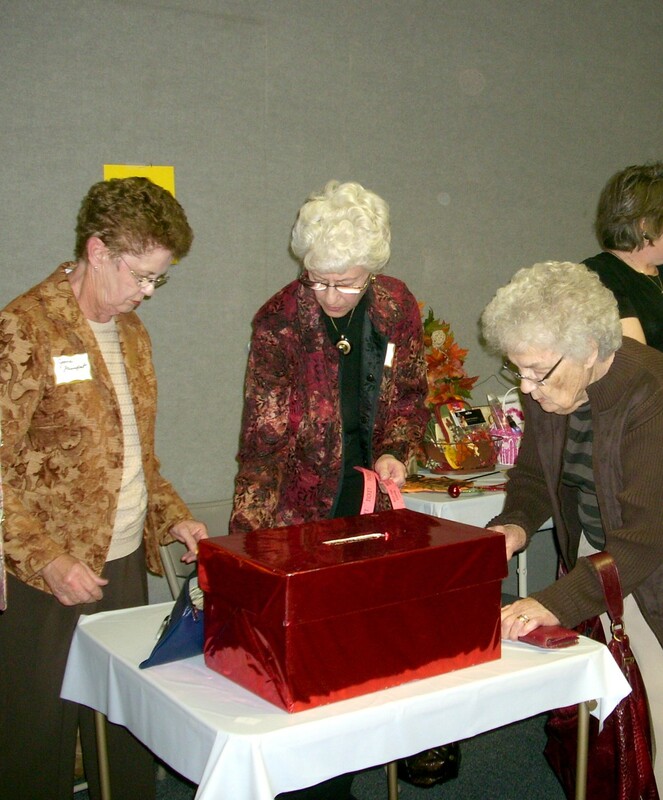 Jane Dumpert, left, and Suzanne Johnson, middle, sell raffle tickets to Marilyn Manning for the many craft items to be won at the Exeter St Stephens Altar Society Salad Luncheon and Card Party. 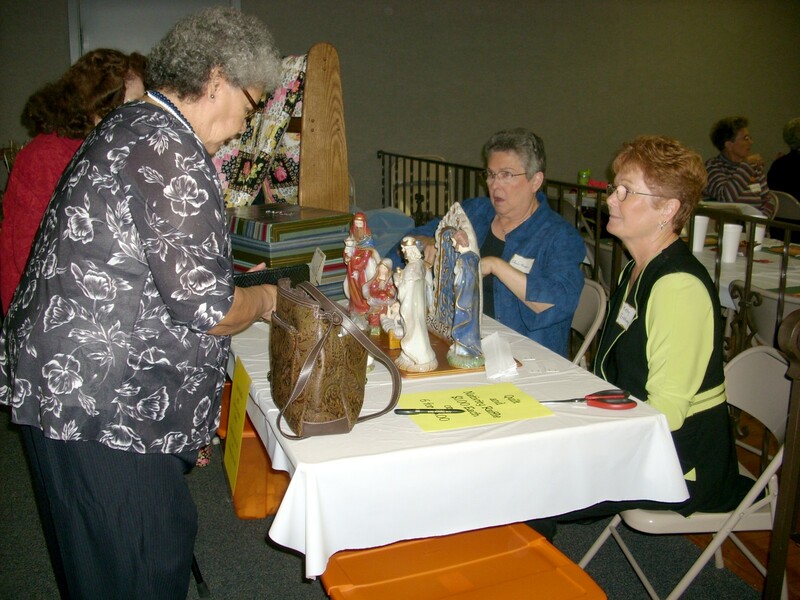 Elanie Krejci, right, and Kathy Erdkamp, left sell raffle tickets for a handmade quilt and a beautiful nativity at the Exeter St Stephens Altar Society Salad Luncheon and Card Party. The nativity was won by Savanah Horne of Exeter and the quilt was won by Delores Becwar of Friend. 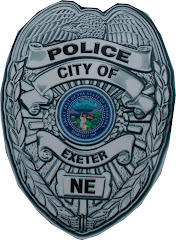 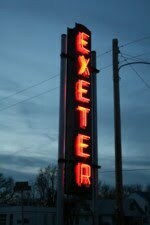 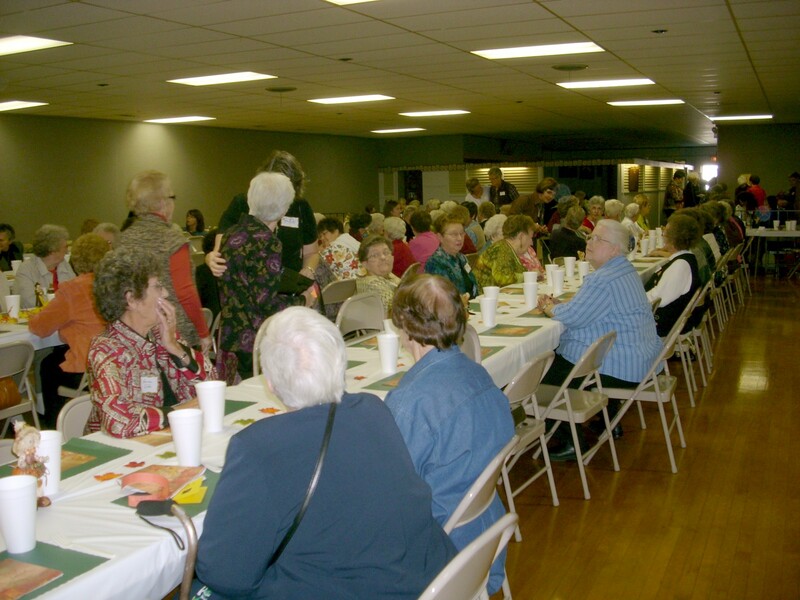 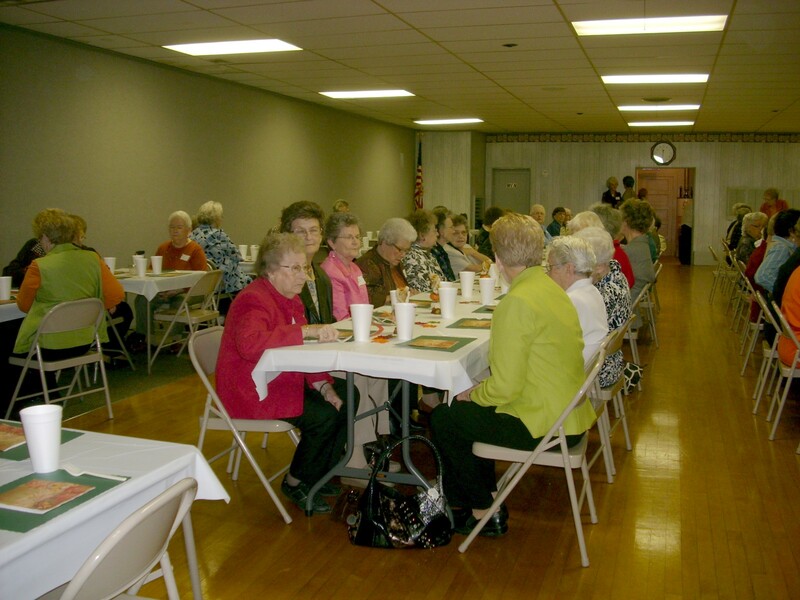 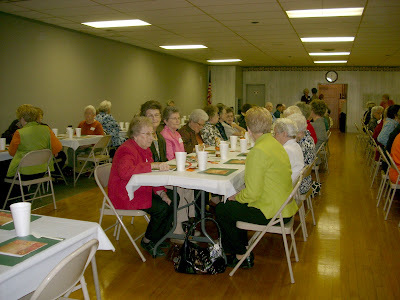 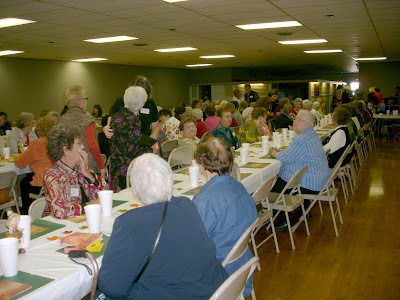 Lots of ladies came to the Exeter St Stephens Altar Society Salad Luncheon and Card Party. 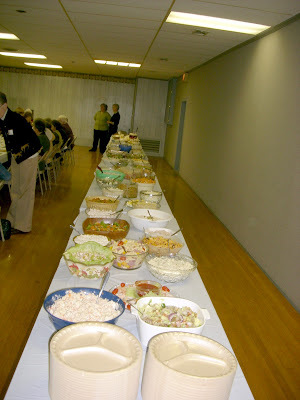 Patiently waiting for Father Kuffel to give the blessing so the Salad Luncheon could begin. 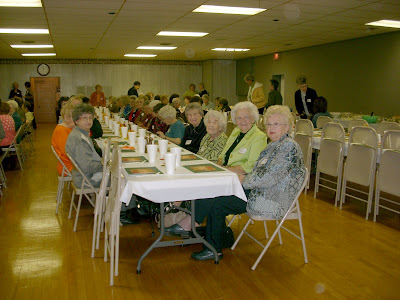 Fellowship is a big part of the Exeter St Stephens Altar Society Salad Luncheon and Card Party as some ladies only get to see each other once a year at this annual event.